WOW!!! 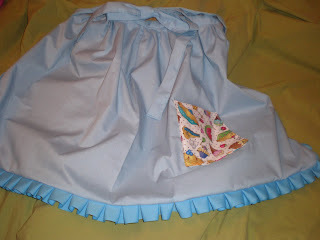 The apron you made turned out AMAZING - totally cute!! 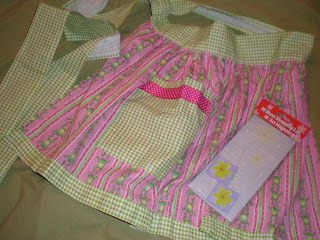 I can't believe what cute aprons have popped up from this swap!! And I love the one you got, too - super cute! Will you email me your pics and I'll put them up on our Flickr page?! 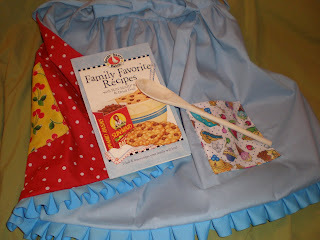 Thanks so much for the apron. I love it! 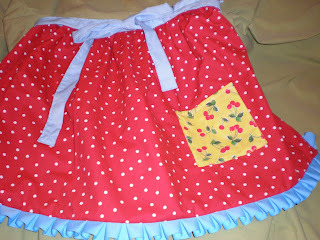 It was so exciting getting my first swap apron in the mail. It was wrapped so cute so much fun to open up and see what was inside. 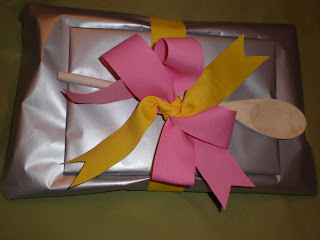 I love to wrap so I appreciate the time and effort. You are great!